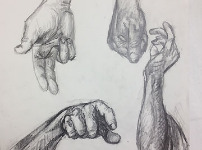 Studio 1.6 in Alameda, CA offers Art Classes for all ages and skill levels. 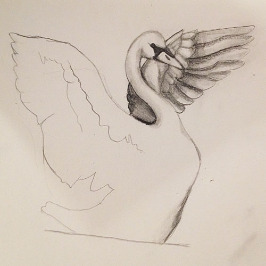 We nurture talent and teach drawing, painting and sculpture. 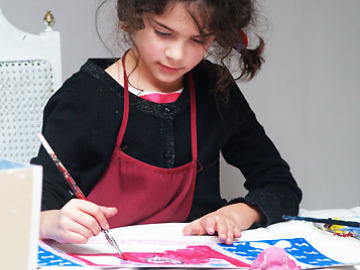 At Studio 1.6 we offer engaging art classes with a rich academic curriculum for all ages and skill levels. We nurture talent and teach drawing, painting and sculpture techniques to ensure optimal growth in learning. Our serene environment is ideal for cultivating creativity, whether for children that love to express themselves through the arts, an adult who is looking for more methodical art instruction, or a youth preparing for various professions in the creative field, from architecture to fashion to game design. Contact us today for your trial class or free visit to the studio. Studio 1.6 is located in the heart of Alameda's historical Webster Street district. Our bright and spacious studio is an environment in which to develop your artistic skills - a working artist's studio with all the materials you could need! We are next to the Alameda Farmers Market, Pacific Pinball Museum, some of Alameda’s best cafes and restaurants and only a stone’s throw away from the Crown Memorial State Beach. We are just a short ride away from Oakland and Berkeley. © 2019 Studio 1.6 All rights reserved.